Pears and blue cheese are a classic combination. 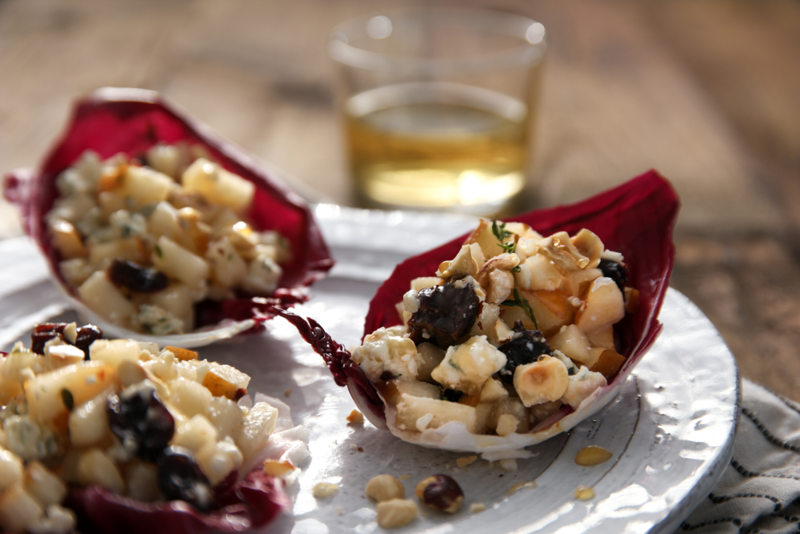 Here we keep it light by putting it in a radicchio lettuce cup for an interesting contrast in flavors. Serve these lettuce cups as an appetizer or a side salad to your meal. To prepare the radicchio cups; slice the head of radicchio in half and carefully un-peel the outer leaves off until you have about 8 little cups that will hold filling. Reserve the rest of the radicchio for another dish. Set the lettuce cups in ice water while you prepare the filling so they stay crisp. To prepare the filling; add the diced pears, dried cherries, honey, fresh thyme leaves and lemon juice to a medium bowl and toss to coat. Add the crumbled blue cheese into the bowl and toss gently so the cheese does not break up too much. To assemble; drain the radicchio cups and arrange on a serving platter. 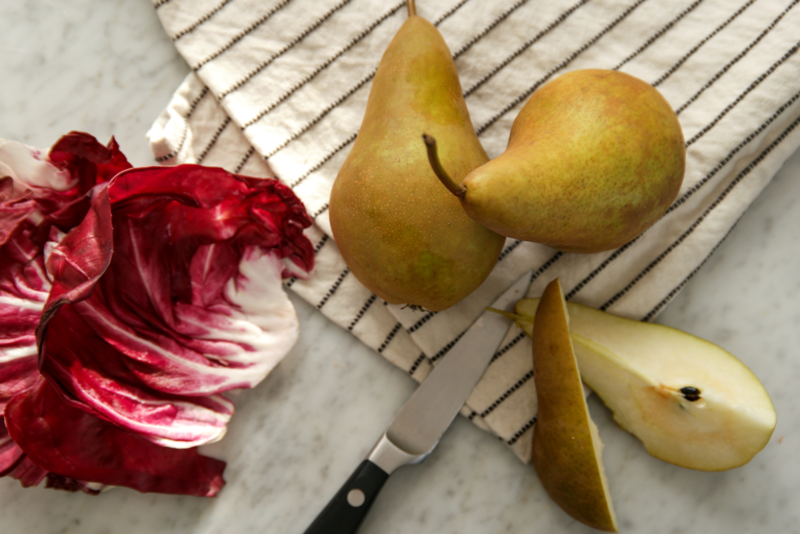 Add about a 1/4 cup (more or less depending on the size of your lettuce cups) of the pear mixture to each radicchio cup. Sprinkle with the toasted hazelnuts, additional thyme leaves and finish with a drizzle of honey if desired. Serve immediately, the filling does not keep well. NOTE: If you are not one for bitter lettuce, switch out the radicchio for a milder lettuce, such as butter lettuce or romaine.